Here's everything iPhone X users need to know to get started using Apple Pay. While loads of mobile fans are making the most out of Apple's new iPhone X hardware, the removal of the device's iconic Home button and the re-mapping of the handset's side button have left many wondering how to access previously familiar functions. Among those options is Apple Pay, the likes of which used to be toggled with the the iPhone's Touch ID. There's a new procedure now, however, and we've got the skinny on how to set up and use Apple Pay on the iPhone X.
Apple Pay is great for a number of reasons, chief among which is the system's simplicity. Before users can enjoy contactless NFC-enabled purchases, however, they'll need to first set up Apple Pay, a process that feels lengthy but shouldn't take too much time. 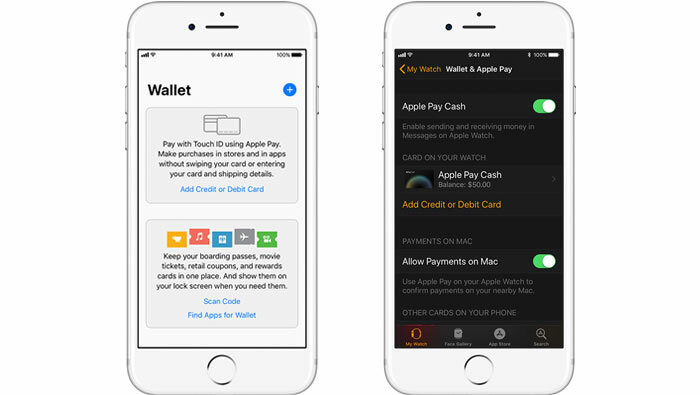 Apple Pay Wallet settings for iPhone X and Apple Watch. Image credits via Apple. The first step is to add a card to the iPhone X. This is accomplished by heading to the Wallet app, then tapping the plus icon. A short process will pop up on-screen asking for the usual information, including iTunes account information, the credit card number, and related card security codes. After clicking next, the system will very the user-submitted information. If all is well, no additional steps are required; otherwise, users may need to put in additional information to confirm verification. 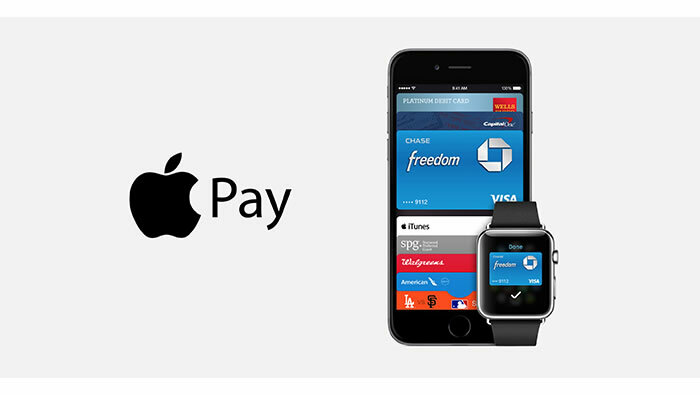 Once the bank or card issuer has verified the given card, Apple Pay should be all set up for use. Beyond this, users can add different cards at any time by going to Settings, then navigating to Wallet & Apple Pay, where they can then tap Add Credit or Debit Card. Once added, users can tap on the card graphic within the Apple Pay submenu to change the card used on any given purchase. Instead of using the familiar Home button/Touch ID combination, iPhone X users can toggle Apple Pay by using a specific procedure involving the device's side button. Simply press the side button twice to enable a Face ID or passcode check for Apple Pay; this screen is also where users can change their card by tapping on the card graphic up top. Once the security check has been completed either by looking at the screen or entering a password, all the user needs to do to complete a payment is to hold their iPhone X over the payment reader until both the word "Done" and a checkmark appear on-screen. For the record, the process is almost identical with the Apple Watch — assuming Apple Pay has been previously set up, just press the side button twice, then hold the Apple Watch's display over the contactless reader. Users will know the payment has gone through when the watch provides a blip of haptic feedback.